The blog is obviously a huge fan of rattan furniture, so much so we have created this entire blog to focus on cover exactly why we love rattan furniture so much. 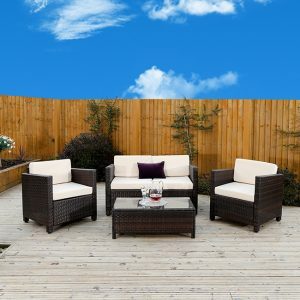 This blog wont just skim over the surface details of rattan sets but give you an insiders knowledge into all the tricks of the trade and demonstrate what you should and will need to know before paying any of your hard earned money for an outdoor furniture set. That being said this blog is not all about the serious and over the coming blog posts this blog aims to cover any inspirational designs and colour options we come across. Prepare to be amazed by great quality videos and images as well as any offers we find covering every aspect of rattan garden furniture. Rattan furniture sets come in several styles and designs ranging from traditional styles to ultra modern clean line styles of furniture, this enables everyone to be able to find a rattan furniture set suitable for your taste and style. The main options available are rattan cube furniture, cube sets are dining table sets containing chairs with flip down backs which allow the chairs to be pushed underneath the dining table, when not in use. Please check out the rattan cube set section of the blog for more details. 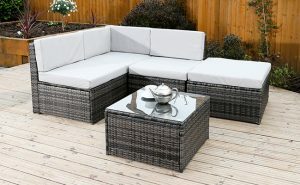 Another popular option of rattan furniture is corner sofa sets which give a fantastic informal seating arrangement for your garden, this is a very modern and contemporary look, which will certainly add the wow factor to your garden. Several companies offer a range of configurations including dining options, this allows some corner sets to be used for informal seating and formal dining occasions. 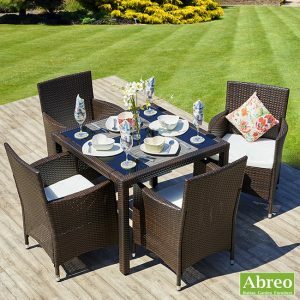 The next style that is very popular in the outdoor furniture range is the traditional rattan sofa set these types of furniture are specifically designed for relaxed informal seating arrangements in the garden. Rattan sofa sets are quite limiting in use and usually are difficult to expand the range in the future due to limited styles and options available. Even though this the most traditional style of rattan garden furniture, there is now several options of modern design which has ignited this range of furniture again.